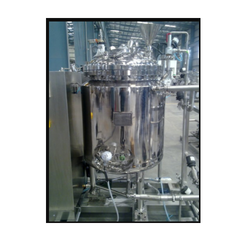 Lotion Processing Vessels available with us, is designed in compliance with international quality standards and norms. These SS Processing Vessels are good demand in the market due to high quality and durability. Our plant is widely used in different pharmaceutical companies and chemical industries. 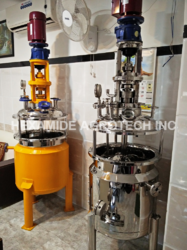 We are engaged in supplying superior quality of Mixing Vessel that are designed as per the specification of the clients. We are leading manufacturer and supplier of wide range of Process Vessels. These can be made of Mild Steel or Stainless Steel as per the requirements of the user.These vessels are manufactured with the help of our diligent professionals in accordance with the clients exact specifications. PURIC have been designing and fabricating various chemical equipments for the last several years. We are engaged in offering a wide range of Industrial Pressure Vessels that is used in varied industrial applications. Made from superior quality raw material, these vessels are known for their long working life. Our range of industrial pressure vessels is closed containers designed to hold gas or liquid at a pressure that is different from prevalent pressure. Size - As per requirement. Agitator - High efficiency leading to reduction in power consumption Gearbox, motor, independent mounting structure & suitable sealing arrangement as per requirements.